You know that organization that I’ve mentioned a few times, NiNsee? This may be an example of a crush turning into love. 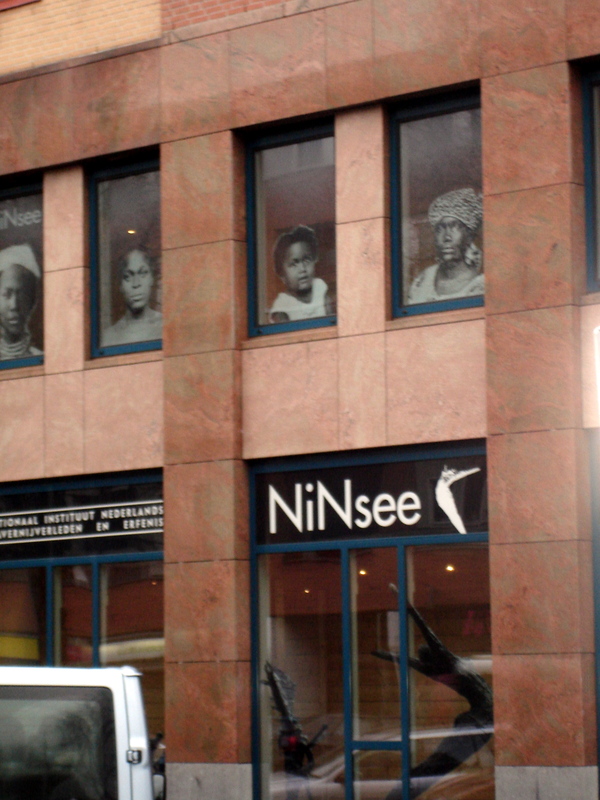 NiNsee (pronounced nin-say) stands for Nationaal instituut Nederlands slavernijverleden en erfenis, which means the National institute for the study of Dutch slavery and its legacy. Several months ago (before leaving the states), when I mentioned my interest in studying the significance of genealogy research for young people throughout the African diaspora, an academic adviser recommended I take a look at NiNsee’s work. I looked them up, was impressed by what they were doing, and sent a blind email to them. I figured it wouldn’t hurt. And it didn’t hurt. It also didn’t lead to anything. A few weeks later, planning for my move, I learned what my address in Amsterdam would be. So I did what probably 90 percent of you would do in this era of google that we live in – I looked up the street view of my apartment and most of the neighborhood. I dropped the little google guy in various locations, just trying to get a sense of the area and what life was soon to be like. On maybe the second or third drop the google guy was directly in front of NiNsee’s office. I thought that was pretty crazy. And since I believe in signs, I took it as one. Months later, I walked through the neighborhood and found the office in person. Although I knew it was close-by, I hadn’t thought about it in awhile. So it was a pleasant find. I thought about how perfect it would be to walk or ride my bike to the office in less than five minutes, walking in with some type of legitimate purpose for being there. I took a few pictures of the building, which is quite lovely, including haunting images of African people in the windows. The logo incorporates the Dutch monument for the history of slavery – which actually shares a history with NiNsee as they were a dual response from the government to the demands for an apology for Dutch history in the slave trade and slavery. As a side note, I’m learning interesting things about the ongoing controversies related to these matters, which I’m looking forward to sharing when I can find the right words to use. Maybe two weeks after that I introduced myself in one of my classes, including a brief babble about my research interests. The professor lit up, saying, “I have to connect you with a woman I know at this great organization called NiNsee!” My eyes kind of teared up. Only two or three more weeks passed before I found myself in NiNsee’s office, chatting with one of their researchers. She gave me a tour of the small museum, which shines a spotlight on slavery in Suriname, the largest Dutch colony, and the Antilles. Many of the documents, images, and descriptions look similar to what I have seen in U.S. museums and libraries. The power of this exhibit is in the fact that the history is familiar and well-documented, yet so widely unheard or ignored by Dutch people. But it’s impossible to deny the evil history when you’re looking right at it. Anyway, she introduced me to some folks in the office. Everyone was incredibly pleasant and impressively smart. As we began talking about my interest in genealogy, they shared with me the work that’s been done to document the names of all enslaved people at the time of abolition (former enslavers received compensation of 300 guilders per person for the loss of free labor – so they were pretty complete when documenting every single black person who was worth money). And I learned that many black people in Amsterdam, primarily Surinamese, are beginning to seek the details of their family histories. So before leaving, I set up a meeting with another researcher for the following week to discuss how I might be able to get involved with the genealogy side of things. The following week, we brainstormed. A proposal and yet another meeting later, we were basically making an internship official. I still need to make some revisions to the proposal, and many of the details have yet to be decided. But the gist of it is I’ll be putting together a user-friendly guide for people tracing black ancestry in the Netherlands (on the beginner level, of course). The coolest part is we’ll identify 10-15 young people (though some may not be so young) in the community who are interested in developing their family trees. I’ll work with them for six months or so, tracing their families as far back as we can go. I have this image of the young researchers working with me, as well as supporting each other on their projects. At the end of the core project, we’ll use the findings to put together some type of workshop for the general public. Sounds pretty perfect, right? On top of all of that loveliness, they mentioned wanting to figure out a way to get me to Suriname. So another objective will be to find a way to fund a visit. Apparently some really valuable things related to genealogy are happening in Suriname. It’s a budding movement that has some folks applying for funding. Only problem is the english grantwriting has been a challenge. Oh but wait, I have grantwriting experience. C’mon. It’s a dreamy dream! I am so happy for you. It brings a smile to my face. this is so amazing. i love it! i met a man from suriname on my travels and he was telling me some things about the subject. so interesting! I’m glad the universe is all over you these days. This is so perfect. I can’t wait to hear more. Genealogy is not the interest of Ninsee at all. There are some databases in which the freed population of Suriname is compiled. But this work was not done by Ninsee, nor it’s reseachers. Also they do not host the databases. They are hosted bij the National Archives in the Hague and were compiled by researchers independent of Ninsee. As a matter of fact, there is a foundation of Surinamese and Dutch people called SSG (Stichting Surinaamse Genealogie) which is independent. It’s members are studying their family roots and they know how to find information in the archives in the Netherlands but also in Suriname. 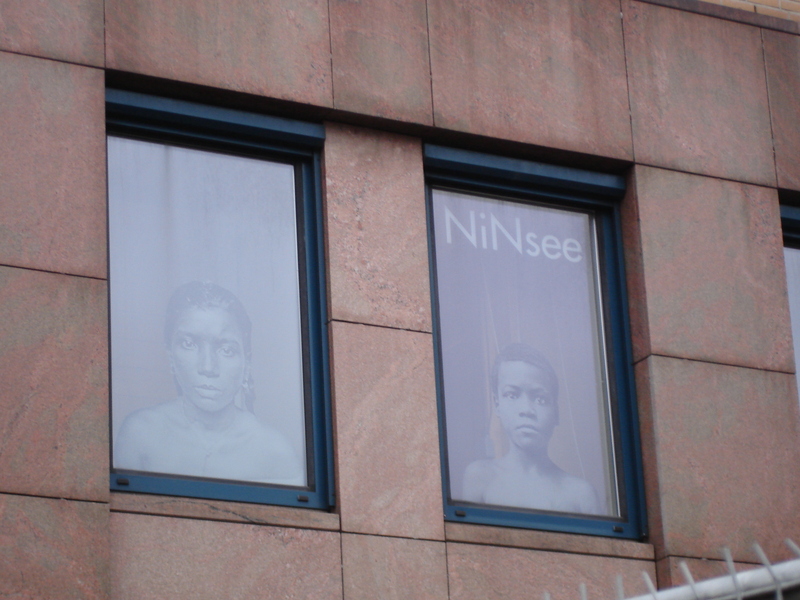 Ninsee is an Institute, but not the only one conducting research on slavery. As a matter of fact there has been done more research outside Ninsee than by Ninsee. For example, SSG in cooperation with Centraal Bureau voor Genealogie (CBG) compiled a guide in which is explained which archives are useful for conducting genealogy. Ninsee did not… SSG also distributes a magazine called Wi Rutu (Our Roots). Ninsee has not…. Quite a lot of researchers on slavery in the Netherlands are not connected at all to Ninsee. Thanks, Vermin! I appreciate your advice. I’m familiar with SSG. They have a great website with excellent resources. And I was able to attend one of their conferences a couple of months ago. With the exception of my language gap, I found it quite useful and interesting. And of course the archives in the Hague are an invaluable resource. But NiNsee has also been an invaluable resource. I have already started the project, along with the support of a number of their researchers who are interested in genealogy. They have also published several catalogs with names of emancipated Africans in Suriname prior to abolition, and at the time of abolition. So their resources are quite helpful to local genealogists. I think the genealogy project will get the most out of using all of these resources and not focusing on only one or losing sight of another.